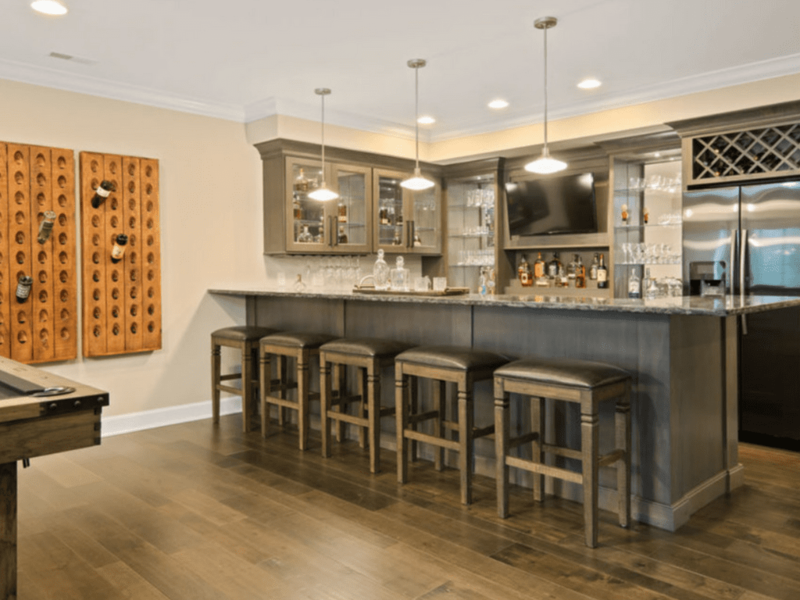 Since it began in 1962, Homearama has featured the work of Cincinnati-area builders by showcasing top-of-the-line new homes. The event, held each summer, is sponsored by the Home Builders Association of Greater Cincinnati. At Hensley Custom Building Group, we participate regularly in Homearama and have been honored to win numerous Homearama awards. 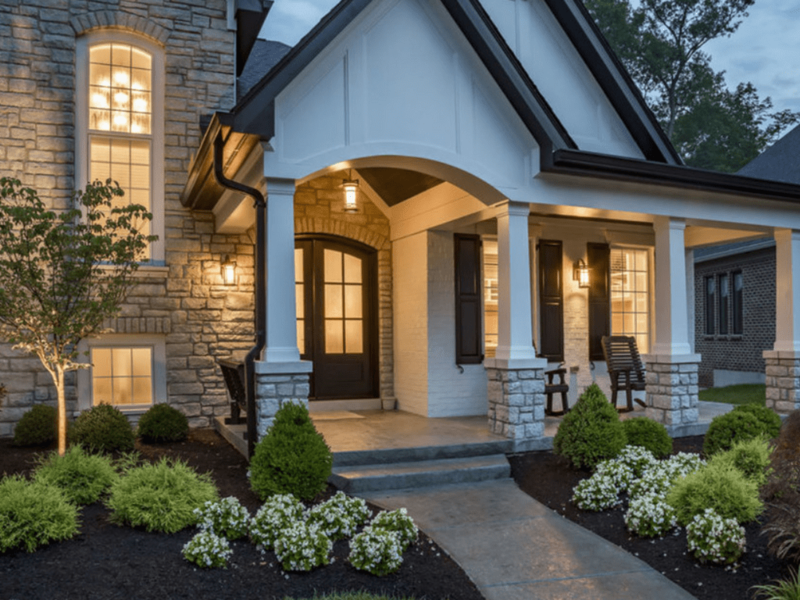 In 2017, the Eagle Ridge, our Homearama home in the Rivercrest community of Hamilton Township, featured a stone and stucco exterior with a welcoming front porch. Inside, a coffered ceiling grabs attention in the great room, which features a fireplace showcasing contemporary design. The fully decorated home inspired thousands of Homearama visitors who walked through. The kitchen, always a main attraction, is open to the great room and breakfast area. Stainless appliances gleam in this soft, neutral setting. Also on this floor, a three-season room expands the living area of the 5,000-square-foot custom-designed home. It's accessible from the master bedroom and breakfast area. Also a Homearama crowd pleaser, the lower level is made for fun, with a rec room, bar, poker table and billiards area. Hensley Custom Building Group thanks the wonderful clients and team of professionals who made the Eagle Ridge a wonderful Homearama project. In 2018, the HomeBuilders Association (HBA) of Greater Cincinnati's Homearama Event will be held at Highlands at Heritage Hill. This community in Warren County offers heavily wooded home sites, a pool and community spaces. The event runs from July 7 to July 22. Tickets must be purchased to attend the event.